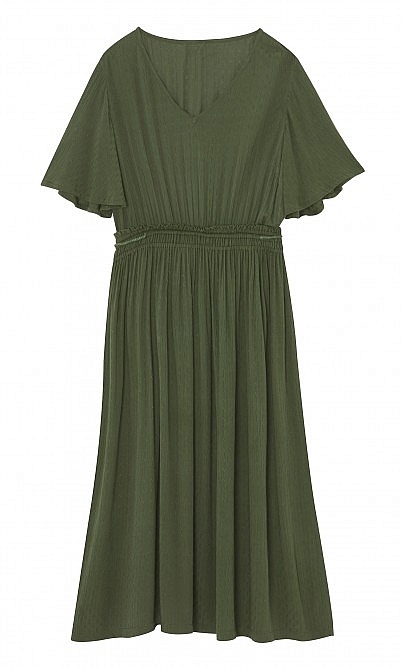 A dress in darkest spruce dress shaped for a loose fit and finished with a wide funnel neck and slim long sleeves. Yacco Marricard, Japan. One size. L115cm. Fabric and care: 100% Wool. Dry clean recommended.